Apple released their latest iPhone/iPod Touch software update last June 17th, 2009. To install the 3.0 software, you first need to make sure you are using iTunes 8.2, which can be downloaded from the Apple site. I do not have an iPhone but I have an iPod Touch (1st gen) so I will be referring to the iPod Touch in this post. 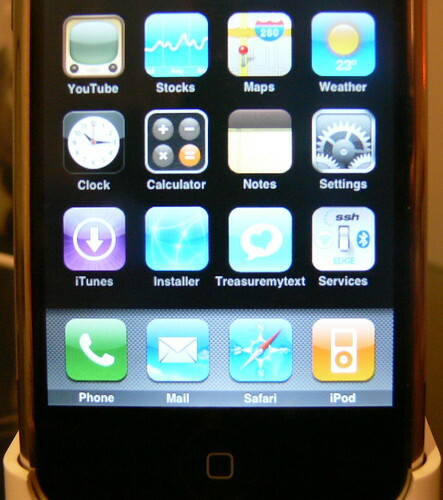 When the iPod is connected, it should appear on the left pane under Devices. Select it and then the summary pane should show up. Click Check for Update. Click Download and Install. Do not disconnect until the update has finished. In my case, there was a problem with the upgrade. I got an unknown error 0xE800000B, error (13) and an error (8) — each on different tries. I think I also got an error (14) when I tried installing the 2.0 software upgrade last year when it came out. Not all iPods work properly when the firmware is being attempted to be installed, just like in my case. No need to worry. There is another way to upgrade your iPod Touch. When this also happens to you, try upgrading the firmware in DFU mode (Device Firmware Upgrade mode). This will “force restore” your device to whatever version it is given with. This would apply to the iPhone, iPod Touch, iPhone 3G, and iPod Touch (2nd gen). Step 1: Hold down the Home button. Step 2: Hold down the Power button. Step 3: Ignore when it says “Slide to turn off”. It should restart with a blank screen. Check that your device should be removed from iTunes. Release the Power button immediately after, but still continue holding down the Home button until the device reconnects on iTunes. Step 4: When the device shows up in iTunes, release the Home button. If you wait any longer, it will go into Recovery Mode, and that’s not what you want. The device screen should be blank. Step 5: Now iTunes will tell you that the device is in Recovery Mode. You can now perform a manual restore/upgrade on it. To manually upgrade it, press Shift while clicking on the Restore button on the Summary pane of the device. Locate the .ipsw file you need for upgrading. Although it says it is restoring, you are actually doing the upgrading. As mentioned, the device will just take whatever firmware it is given while in the DFU mode. This method may not work right away for you. I had to try it several times until I got it to work. Just be patient and hopefully you will be able to successfully upgrade the software on your iPod Touch/iPhone. This entry was posted in Gadgets, Tech and tagged iPod Touch. 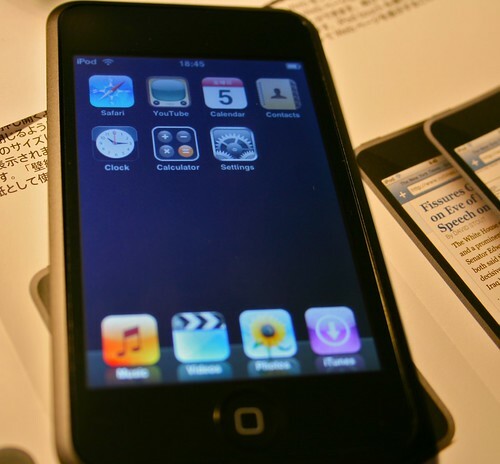 Rumors about the new features of the next-generation iPod Touch have been circulating. High speed 802.11n WiFi capability is one and another is FM radio transmission. The FM transmit will enable users to stream music directly from their iPod Touch to the car stereo or home theatre system without having to use a special adapter or cables. In addition, it’s been revealed that there will be an addition of stereo Bluetooth-audio streaming in the Apple iPhone/iPod Touch 3.0 OS. Second-generation iPhone/iPod Touch owners will be able to activate this functionality with this latest upcoming OS. These will definitely be great additional features for the new iPod Touch. I’m thinking about selling my old one and get the new one when it’s out. Hmm.